You probably all think that the family of a food blogger eats something new and exciting every day of the week, don't you? To be honest, we have a handful of tried and true recipes that are my go-to's week in and week out. Recipes that are no-brainers for me & that I know my family will not complain about, more or less. But even food bloggers run into weeknight dinner ruts. In fact, I was in the midst of one just a week or so ago. I failed to do my usual weekly meal plan just because I felt totally uninspired and unmotivated. 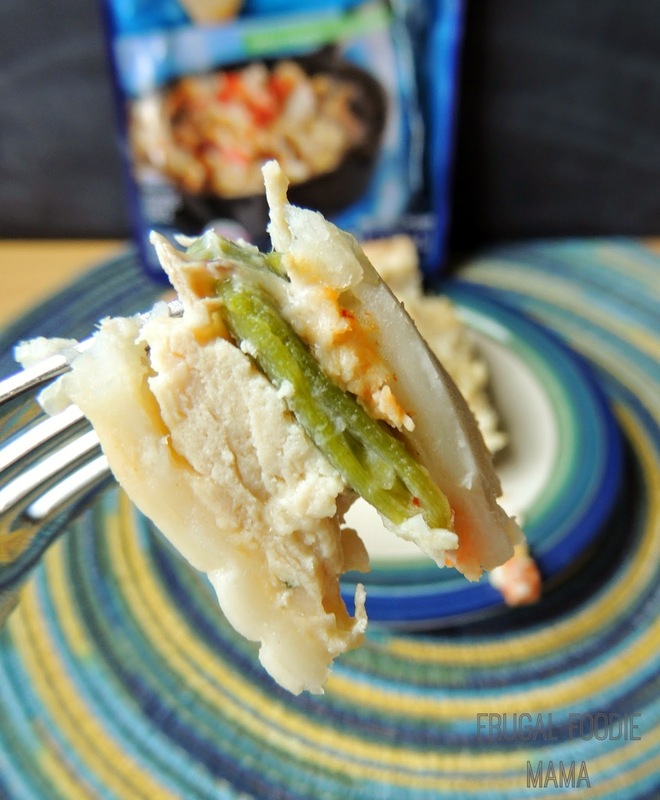 Thank goodness for the Progresso Recipe Starters I happened to have in my pantry that week! I just needed a few ingredients, one of their tasty recipe starter sauces, and around 30 minutes to come up with a dinner idea that my family would love and that wouldn't bore my socks off. Chicken pot pie is a family favorite, am I right? But let's be honest... it can sometimes be a tad boring. Set out your pie crusts to come to room temperature (or use the microwave trick you will find on the box). Preheat your oven to 425 degrees. Spray a 9 inch pie plate with cooking spray. Set aside. 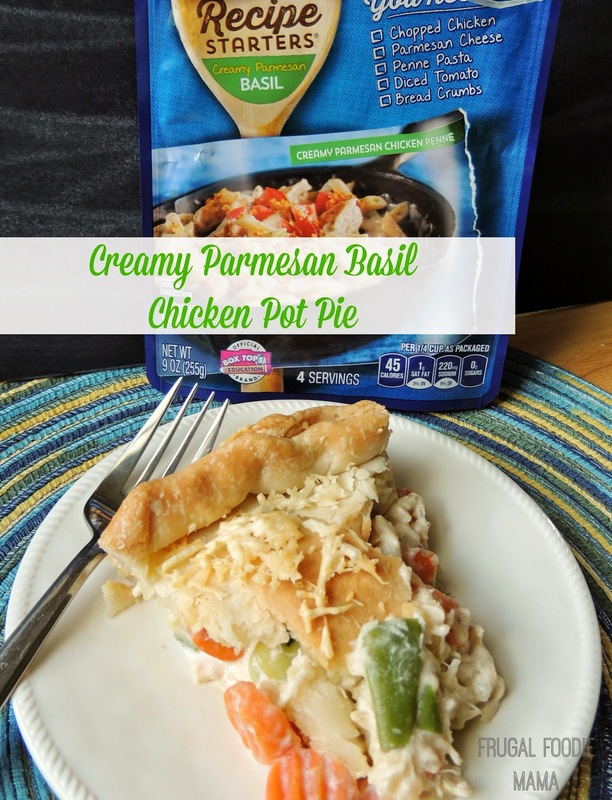 In a large saucepan, combine the contents of the Creamy Parmesan Basil Progresso Recipe Starter pouch, the cooked chicken, and the frozen veggies. Heat over medium-high heat until the veggies are heated through, stirring often. In a small bowl, whisk together the heavy cream and cornstarch until smooth. Add this to the mixture in the saucepan and cook for another 2-3 minutes or until thickened. Place one of the pie crusts into the bottom of the prepared pie plate. Pour in the Creamy Parmesan Basil/chicken filling. Place the other pie crust over top, and crimp together along the edges. Using a fork, prick a few openings in the top crust. Place the pie plate on a baking sheet and bake for 25-30 minutes. Take the pie out of the oven and brush the top crust with the melted butter. Sprinkle the Parmesan cheese evenly over top. 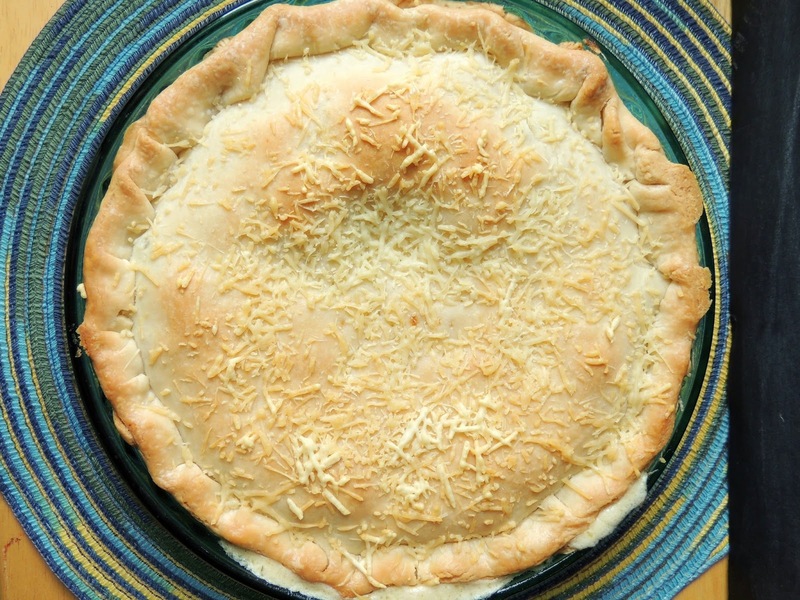 Bake an additional 10-15 minutes or until the crust is golden brown and the cheese is bubbly. 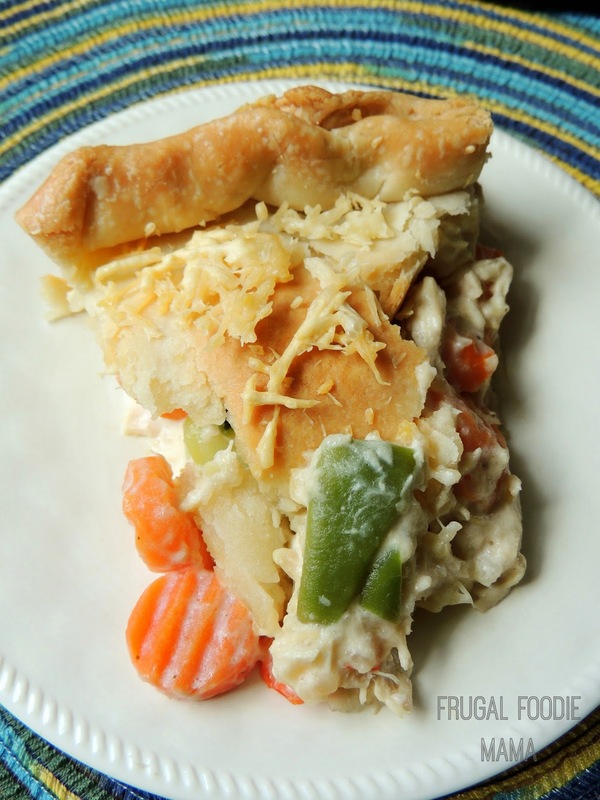 The Creamy Parmesan Basil Sauce instantly brought this chicken pot pie to the status of a new family favorite. I loved the freshness that the basil brought to the entire dish!